Renting Beautiful Birth Choice’s Yoga Studio and Learning Center is a great way to get a conveniently located family ­friendly room while also supporting BBC, an organization that provides parents and birth professionals with a holistic, non-­judgmental view of pregnancy, childbirth, and early parenting. We are conveniently located at 681 North Winton Road, Rochester, NY 14609 in the beautiful Browncroft neighborhood of Rochester, NY. Our building is on the street level, with parking both in the lot and on the street, and with many food options close by. 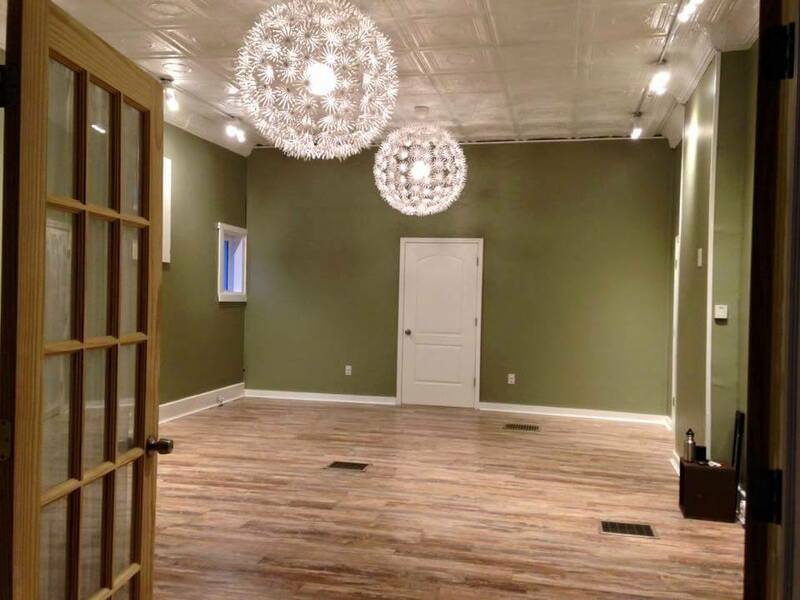 We offer two rooms for rent: our Yoga Studio (perfect for classes) and our Learning Center (perfect for meetings, group sessions and workshops). The Yoga Studio is 425 sq. ft. with laminate flooring and plenty of yoga mats. Folding chairs are also available for use in this space. The Learning Center is 680 sq. 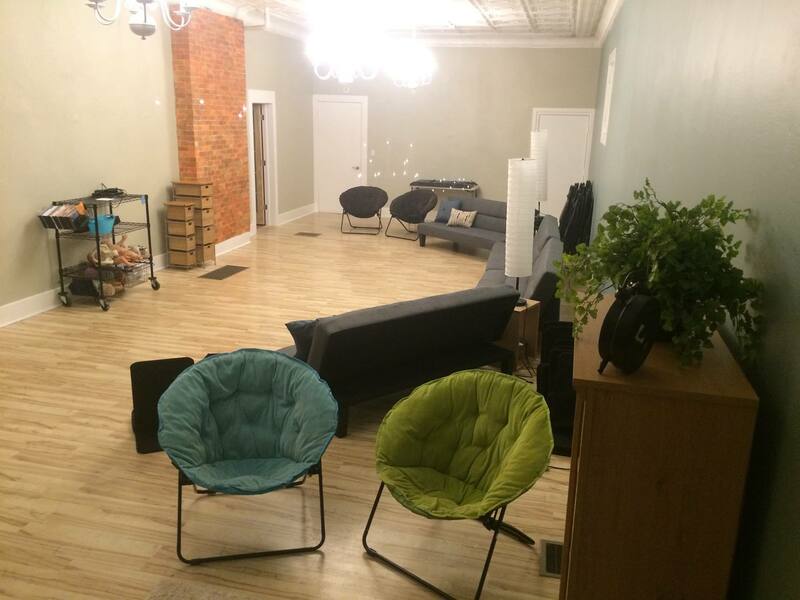 ft. and is set up with couches and chairs to comfortably sit up to 20 – ­30 people (12 on couches, 10 with folding chairs, 8 with floor chairs). Access to a microwave, a hot water dispenser, and basic supplies included. We provide a TV and DVD player, and as well as a white board in the Learning Center. A deposit of 50% of the room rental fee is due at the time of booking to hold your space. Remaining balance is due on the day of the rental. Should you decide to cancel your reservation more than one week prior, your deposit less a $15 processing fee will be returned to you. Cancellations made less than seven days in advance will NOT be refunded. All cancellations must be made in writing (email is okay). A one­time security deposit of $150 is required for all rentals, due seven days prior to reservation, to be refunded upon delivery of premises to original condition and bill paid in full. Please submit a separate check for security deposit.